Beautiful and beautifully made woodworkers SMALL axe. 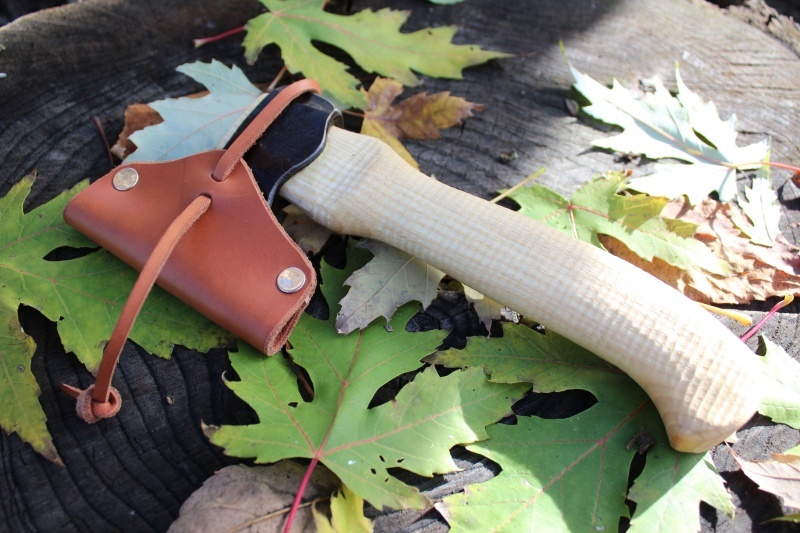 Handmade by a husband and wife team in the far North of Sweden, this diminuative axe is a great tool, much handier than its sizes suggests. Its been made by a master blacksmith in Swedish high carbon steel, and made completely by hand and eye. Great for woodwork, small firewood splitting, even shelter making or knife use. OAL 9in, head is .4KG. Comes with leather head cover. Made in Sweden. Shaft is 'Free-hand' chequed. Made by S Djarv. 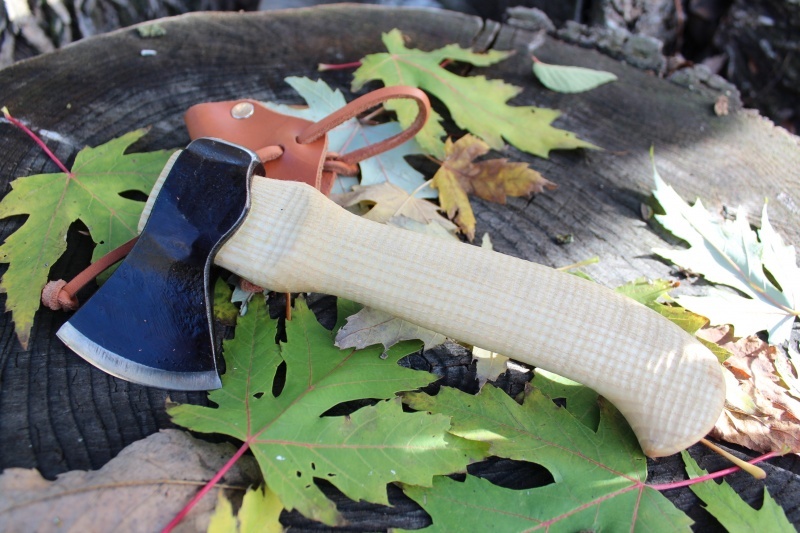 Purchase through PayPal by using the "Add To Cart" button above or use the form below to order the S. Djarv Swedish Handmade Small woodwork Axe . 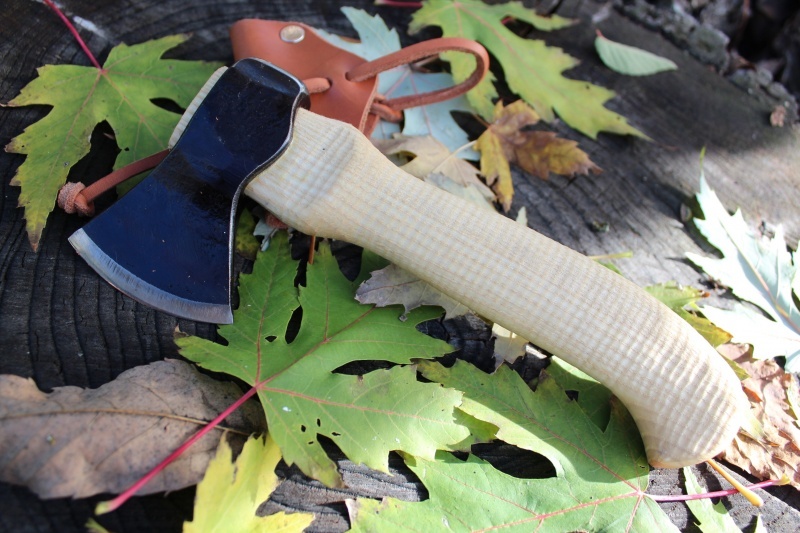 Feel free to contact us if you have any questions about the S. Djarv Swedish Handmade Small woodwork Axe .